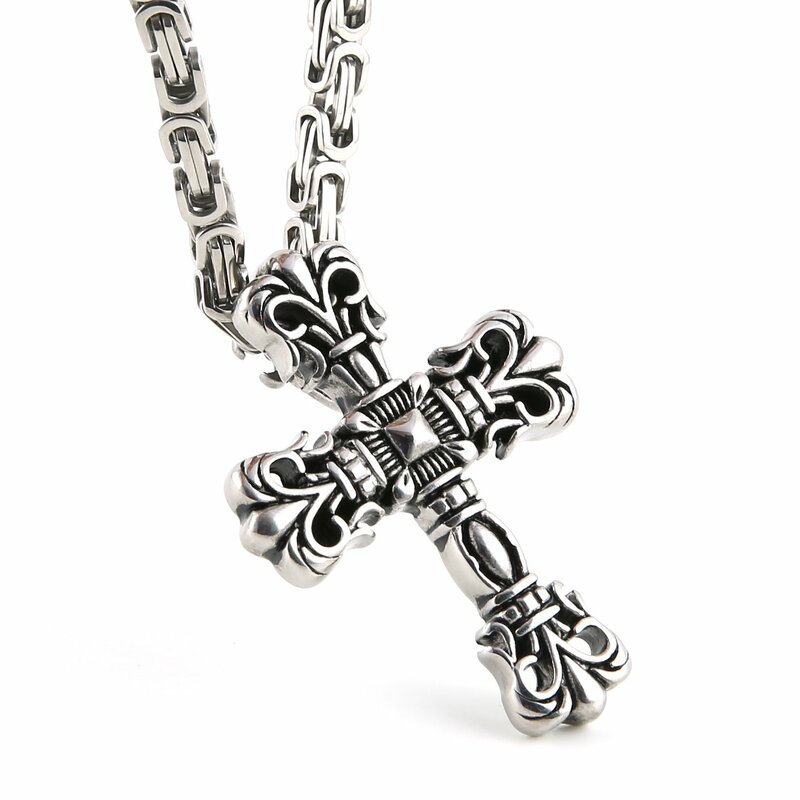 Home › Mens Big Stainless Steel Fleur De Lis Cross Pendant Necklace. Mechanic Style ..
Mens Big Stainless Steel Fleur De Lis Cross Pendant Necklace. Mechanic Style ..
Why choose Stainless Steel Jewelry?Stainless Steel jewelry does not tarnish and oxidize, which can last longer than other jewelries. It is able to endure a lot of wear and tear. And it is amazingly hypoallergenic. Such advantages make it a more popular accessory. Why need Stainless Steel Jewelry?High quality stainless steel has high resistance to rust, corrosion and tarnishing, which requires minimal maintenance. Stainless steel is one of the most bio-compatible metals, so stainless steel jewelry is amazingly hypoallergenic because of its anti-allergic properties. As one of the strongest of all jewelry metals, it does not oxidize and will be very durable. All makes it a top fashion accessory to complement your wardrobe with the sleek, contemporary styling offered by our stainless steel jewelry.